We, the staff of Young People's Ministries, in partnership with your Annual Conference Leaders, wanted to reach out to the young people of the United Methodist Church, so you could have the necessary information to understand General Conference 2019 and the plans that are being presented for the future of our church. We hope that you will be encouraged to share your thoughts about the different plans with your Conference’s Delegation as a way for your voices to be heard about this very important decision. Jeffrey Warren, young people's delegate from Upper New York, speaks at General Conference 2019. In 2016 the General Conference authorized a 32-member "Commission on a Way Forward" appointed by the Council of Bishops to examine paragraphs in The Book of Discipline concerning human sexuality and to explore options to strengthen the unity of the church. In February of 2019, a Special Session of the General Conference of the United Methodist Church will be held to receive and act on the report from the Commission on a Way Forward and subsequent recommendations of the Council of Bishops. This 2019 Special Session of the General Conference will be held from February 23 - February 26, 2019 in St. Louis, Missouri. Below are some links to help you understand three of the plans that will be presented to the 2019 Special Session of the General Conference. To view the report from the Commission on the Way Forward CLICK HERE. Replaces current jurisdictional conferences with three connectional conferences based on affinity: Progressive, Traditional and Unity. All three would use a general Book of Discipline (Articles of Religion, General Rules, Confessions of Faith) with the ability to adapt other portions to their context for ministry. Requires bishops, pastors and annual conferences to certify adherence to the Discipline. Other links for the 2019 Special Session of the General Conference and summaries of the plans can be found at: United Methodist News Service - Plans Summary, Great Plains Conference - Plan Comparison, and Specifics on the General Conference Special Session. You can review the final 78 pieces of legislation that will be considered at General Conference 2019 HERE. The Global Young People's Convocation 2018 created and approved the following statement on church unity which may also inform your witness during this time: DOWNLOAD STATEMENT HERE and use the images below for sharing on social media. You may also CLICK HERE FOR VIDEOS featuring the young people who crafted this statement. As this information is shared with you for prayer and discernment, we also hope that you will contact your delegates to the 2019 Special Session of the General Conference with your thoughts and opinions on the future direction of our church. 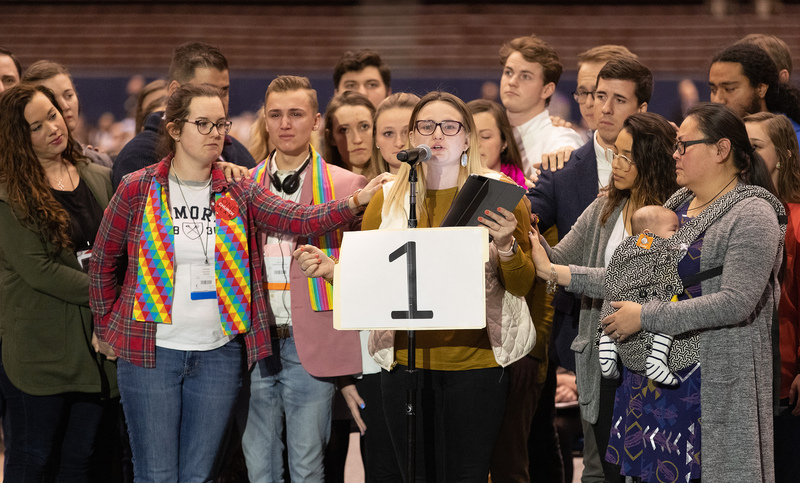 Your conference's young people's leaders can provide the names and contact information for the delegates who are supposed to serve as representatives on your behalf at the Special Session of the General Conference. On Sunday, February 17th, 2019 we are asking the young people of the United Methodist Church to participate in a day of prayer for those preparing to embark on this important chapter in our denomination’s history. Please join us in this day of prayer prior to the convening of the Special Session of the General Conference, visit umcprays.org to add your prayer to the "Prayer Wall" there, and share your prayer on social media using #prayforward. The staff of the Division on Ministries with Young People will continue to hold our church, the delegations, and you, the young people of the United Methodist Church in prayer as we find our way forward. Where do others make decisions that you have to live by? Have you been in a situation where you had to rely on someone else representing you? How did that feel? How did that go? When have you made decisions for others? What was their response? How did it feel to have the responsibility of representing others? For you, what are essential Christian beliefs and practices? When have you felt “of one mind” with someone else? When have you felt “of one heart” with someone? What did those experiences feel like? 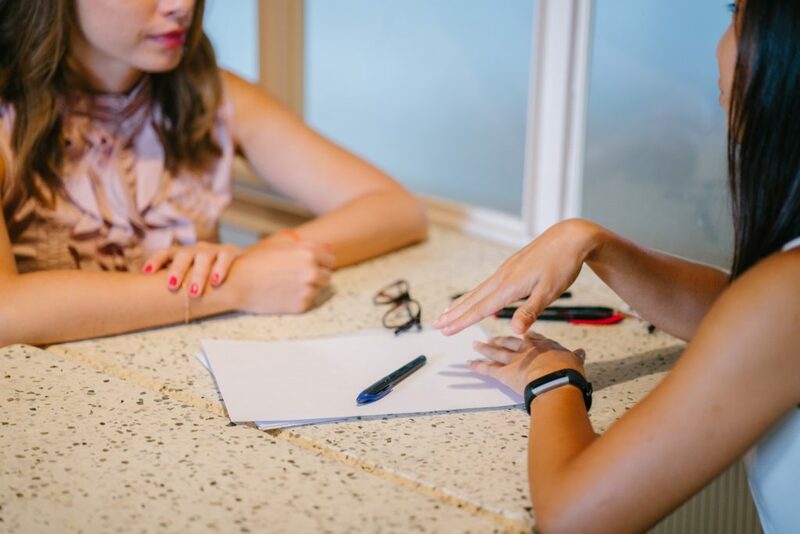 Describe a moment when you've worked alongside someone who believed differently than you? On what were you able to work together? When have you witnessed a community making healthy and holy decisions through a healthy and holy process? With whom have you had tough conversations leading you past disagreement and toward reconciliation? How can the church move beyond the disagreements that we have with one another? We ask that young people be in prayer for the United Methodist Church. As you share those prayers on social media, we invite you to use #PrayForward so that others can find your prayer and share in it with you. To help others pray for General Conference 2019, we invite you to submit your written prayers, video prayers, creative/musical/artistic prayers, and more using the button below. The United Methodist Student Movement invites college and seminary students to the specially called General Conference in February 2019 to engage in critical conversations about the future of our denomination. Click here for the event registration page. The UMSM with the support of the General Board of Higher Education and Ministry will be hosting hosting a space for informational sessions, prayer, debrief time, and collaborate discussions both at the America Dome and at an offsite location. We hope that you will join us in this time of processing together. We aim to show the greater church the ways in which young people from around the connection are working towards unity.